Action to Take: Buy AMZA—Buy Under $6 with $7.50 Target and 16-18% Yield in 2019. ﻿Longtime Transformity Investing subscribers made a ton of money riding the 2013-2014 energy run via energy transportation MLP—master limited partnerships. We close all our energy MLPs in October 2014 when Saudi Arabia declared war on the US energy frackers and oil made its spectacular fall from $140 to $28. Energy MLPs were crushed as collateral damage and many were held until the October-December 2018 crash when they were sold at big losses to offset profits taken in other stocks (read tech). It was THAT purge that got me back to looking at the damage in MLPs that created such high yields and such large and uncalled for NAV (net asset value) destruction (meaning panic selling created big NAV discrepancies). Enter AMZA—a unique ETF AMZA—who was only really guilty of the worst timing ever floating the ETF near the top in 2014-and now is a screaming buy. I have had extensive conversations with the portfolio manager (and 2nd largest shareholder) Jay Hatfield which I will get to in a minute. Here is our 2019 basic investment thesis in energy MLP land. The panic selling makes them too good to pass-up at current valuations. This is due to the fact that most of them, including most of the ones that are held by the fund, are midstream companies. The midstream sector involves the transportation, storage, and marketing of crude oil, natural gas, natural gas liquids, and refined products. In addition, natural gas processing and crude oil refining are sometimes considered to be midstream activities. Today the Permian basin is a pool of more recoverable oil than anywhere else in the world except for Saudi Arabia's Ghawar field and is currently producing in excess of 3.5 million barrels of crude oil per day. 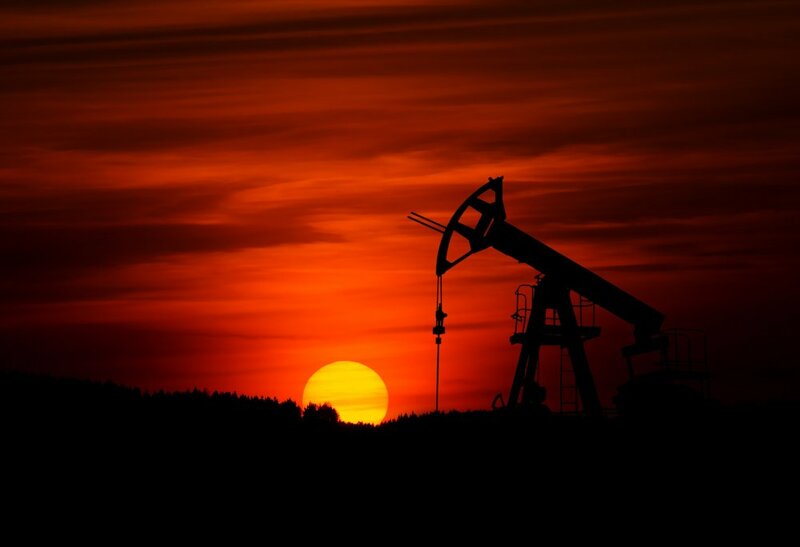 Industry companies predict this yield will increase to 5.0 million barrels by the end of the decade and to 8.0-10.0 million barrels per day by 2028. This growth will not happen in a straight line—we still see a mild US recession in the 2ndhalf of 2020 (subject to change as the political and geopolitical risks change). But with Saudi Arabia needed $85 oil to pay their bills, and geopolitical risk not going away (and most US oil frackers now profitable at $35-$40 oil in the Permian) $45-50+ oil is the new floor in US light crude till electric vehicles and truck become 10%+ of the world’s fleets and vehicles. Our best estimate that is 2030-32 in the best case scenario barring a huge improvement in battery technology. IN the here and now, the Permian’s biggest problem is not enough midstream pipelines. By late 2019 and mid-2020, that problem is largely solved—and AMZA MLPs are the biggest beneficiaries (not the mention the Permian frackers who now pay a $12-$14 discount to light crude prices due to the cost of transportation). In addition, the massive amount of nat gas that comes with fracking is mostly being flared—new nat gas pipeline adds another MLP home run (and that nat gas goes right to Japan and China via the new LPG shipping ports in LA and TX). We have also seen tremendous production growth on the natural gas side out of areas like the Marcellus and Utica shale. Again new pipelines come online this year and next and the discount prices for stranded nat gas end as well. With big nat gas companies like Range Resources and Cabot Oil and Gas in the Marcellus planning to increase their production in the region, this figure will continue to grow. Key Point: Net/Net, since midstream companies make their money by moving this produced product to market, this production growth will result in 5-8% rising profits and cash flows for the companies in this index. This is why we have seen so many companies in the midstream space unveil ambitious growth programs meant to meet this surging demand. In addition to this, most midstream companies are largely insulated from commodity price fluctuations as they make their money solely off of volume (there are a few exceptions to this but they are not material). Thus, as long as we keep seeing production growth, midstream companies and master limited partnerships should prosper. This makes these companies a good way to play the North American energy production growth story. However—energy MLPs are captive to oil and nat gas price fluctuations—its makes some sense at $80-$100 oil prices (real demand destruction) but NOT at $45-55 oil prices. We were waiting for the widely anticipated dividend drop from 11 cents to 8-9 cents—that happened today. The AMZA distribution crew did a fine job making this a non-event (and it will trade more than one million shares today!) The reason we waited is in this chart—the last time AMZA cut its dividend the market panicked and it was NOT pretty. Anyway here is PM Jay Hatfield in conversation with Seeking Alpha that does a great job telling the AMZA story—(I will add parenthetical remarks as needed to further tell the story). SA: AMZA is an ETF, not a CEF (closed-end mutual fund) like JMF, JMLP, and numerous other leveraged MLP funds are. Why did you elect to go with an ETF format and does it offer investors any advantages over a CEF format? JH: Closed-end funds often trade at big discounts or premiums to NAV and usually have lower liquidity than ETFs as there are fewer market makers. For these reasons, we chose to go with the ETF structure. JH: Since AMZA is a corporation, we must accrue for taxes when our NAV is above our tax basis. However, when our NAV is below our tax basis, Auditors require we record a reserve against the asset. That asset, which is not included in our NAV is now.52c or approximately 10% of NAV (now 9%). This situation means that when MLPs recover, AMZA will participate in 100% of the upside because of the unrecognized tax asset up to a NAV of approximately $7.40 (hence our $7.50 short-term target). So, in effect, investors get .52c of tax basis that is not included in NAV. SA: Along those same lines, you do not issue a K-1 to investors in your fund (providing a much more convenient 1099 instead). How is this possible and how does your fund tax structure work? Is it advantageous, neutral, or costly relative to a retail investor investing directly in MLPs themselves? Additionally, all of your distributions have been classified as "return of capital" and are therefore not considered taxable income. Many investors seem to believe that this is an entirely destructive return of their original investment, some even likening it to a Ponzi scheme. However, you do receive considerable income from your underlying holdings. Can you explain what this return of capital actually is? JH: We are a corporation for tax purposes. So AMZA receives distributions from MLPs and we receive the K-1 and file it on our corporate tax return. Because almost all MLPs have excess tax depreciation to shelter their distributions, they are classified as return of capital. In addition, to the extent we are trading below NAV and realize some of the .52c of tax loSA discussed above, that will shelter taxable income generated by covered call writing. So with AMZA at such a large discount to its tax basis, it is likely to have very favorable tax characteristics. In other words, we are unlikely to distribute taxable income to shareholders even though we have large cash flow from MLP distributions and expiring call options. SA: You employ a considerable amount of leverage on a regular basis. Do you have a target range with upper and lower bounds for leverage ratios or is it quite flexible depending on the moment? If you have a tight range that you religiously stick to, doesn't this mean the fund will tend to buy high and sell low thereby reducing total returns over the long run? Do you see your approach to leverage changing at all in the future if MLP prices continue to deteriorate and/or rapidly improving? How will future interest rate increases impact your use of leverage and the fund's returns? JH: We normally run 20-30% leverage, which is lower than many MLP closed-end funds. When MLPs decline in value that does cause our leverage to rise somewhat and will cause our fund to underperform unlevered MLP ETFs as it has in the latest energy and stock market decline. Fortunately, most of the companies in our fund have become much more liquid over the last year as they combined with their general partners (meaning the “GP” General Partner of the MLPs are now merging into the MLPs for simplicity sake and higher yields). In the future, we plan to cycle down leverage range from our normal 20-30% when MLPs are seasonally weak, which is usually is in the fall, and when we anticipate weak energy or stock market conditions. If we successfully execute this strategy, it should reduce the volatility of the fund in down markets. MLPs are seasonally very strong in January and are very undervalued given strong fundamentals, so we are maintaining approximate leverage of 30%. SA: Given the commodity sensitivity of the MLP sector and the additional volatility produced by leveraging the fund, what risk mitigation techniques do you employ now or would you consider employing in the future? In the past, it appears you shorted oil, but now you are not. What caused the switch and do you foresee yourself shorting oil or anything else in the future? JH: It was extremely profitable to short the oil ETF, USO, as oil was in contango (refers to a situation where the future spot price is below the current cash price, and people are willing to pay more for a commodity at some point in the future than the actual expected price of the commodity today) which means the futures market is expecting rising oil prices over time. Consequently, it was very expensive for the ETF to roll futures and so it would massively underperform the actual price of oil. At the end of 2017, oil went out of contango. In addition, the geopolitical risk rose and at times oil would rise and MLPs stock prices would not respond. Therefore, being short oil became risk additive vs. risk reductive. Finally, we recognize that shorting oil and other ETFs adds complexity to the fund and can make investors uncomfortable, so we have phased out ETF activity. In extreme market conditions in the future, we might buy puts on major indices in the short run to protect against market crashes, but we will then reduce leverage or even carry some cash as our primary way to reduce risk as described above. SA: On your website, you state that you use technical and fundamental analysis in determining portfolio allocations. Could you delve into some of the specifics of your portfolio strategy? What technical analysis methods do you employ and how highly weighted are technicals relative to fundamentals in your thinking? On the fundamental side, do you favor a top-down analysis, bottom-up, or a mixture? What traits do you target in MLPs and what are your primary and secondary buy and sell screens? Are there any types of MLPs that you would never buy? Do you have any diversification rules that you follow? JH: We are primarily focused on fundamental relative valuation of MLPs. We only buy high-quality infrastructure MLPs and avoid lower quality companies with limited franchise value such as shipping companies or sand fracking MLPs. We maintain detailed models on each company in the sector and constantly interview management of the MLPs to update our models and refine our estimates. We then analyze the industry to evaluate the relative valuation of each company in the sector. We prefer higher quality companies with strong balance sheets and diversified operations. Right now, there are tremendous profit opportunities for the oil and liquids storage and transportations companies as high production in the US has caused transportation rates to skyrocket. Consequently, we are overweight those companies, which also happen to be some of the larger more diversified companies. Technical analysis is employed primarily for evaluating market and sector risk. For instance, when the overall market breaks below its 200-day moving average, usually risk and volatility rise substantially and the risk of sharp market declines rise. In the future, we expect to use this technical analysis to reduce risk by reducing leverage during these periods. SA: Would you consider yourself long-term or short-term investors and how does this impact your buy and sell decisions on individual securities and positions? What are the most common reasons that you close a position? JH: We are long-term investors focused on buying high-quality MLPs trading at attractive valuations. We evaluate every company based on its risk and expected total return including dividends and expected growth. If a Company becomes relatively expensive to the sector we will trim or sell our position. We will also more aggressively sell call options on the position as we see limited relative valuation upside. We do constantly update our models for commodity impacts, transportation differentials, and other developments, so changes in our estimates can cause the relative valuation differential and we would respond as described above. SA: How would you describe your overall investment philosophy and does it differ from the philosophy of your colleague Edward Ryan? How does AMZA's strategy reflect your respective investment philosophies and is it likely to ever diverge from them given certain market or economic conditions? JH: We are both long-term value investors focused on yield. We believe that the best value stock is one that has substantial yield so an investor can afford to wait for the valuation differential to close. We also believe that investors in equity income securities should look for substantial growth, as equity securities like MLPs have market volatility so should offer substantial double-digit total returns to compensate for that risk. MLPs have been unattractive since the oil price crash of 2014 as they have been reducing leverage, distributions, and restructuring. That activity has now been completed and we expect MLPs to increase their distributions by over 6% for 2019 and offer potential total returns of over 15% as the group is yielding approximately 9%. This type of total return is what MLPs delivered from 1990-2007. SA: How do AMZA's size and distribution size/frequency impact your strategy and total return outlook? Would a rapid increase or decrease in assets under management impact your strategy? JH: We are not affected by changes in the size of the fund. When the fund grows or has redemptions we rotatably receive or distribute pro rata positions in the portfolio, so there is no impact. MLPs have become substantially more liquid over the last year, so it is easier to execute our covered call writing strategy regardless of the size of the fund. SA: One of the unique traits of your fund is that you employ an options strategy alongside leverage and hedging. Why do you use options and how would you describe your options strategy moving forward? JH: We have adapted our call writing strategy to be focused on writing shorter term covered calls on the most liquid companies in our portfolio. By shortening the average maturity of the call portfolio, we minimize the possibility of the outstanding options reducing our upside in rising markets and maximize the decay of the value of the options and the frequency of expirations. SA: You cut the distribution early in 2018 to a level that you believed was sustainable given your outlook for MLPs and the energy sector at the time. However, equity valuations and AMZA's NAV have fallen considerably since then. Do you still view the current distribution as sustainable and if not, what changes to the distribution policy might investors expect in the future? What approximate distribution level do you think is sustainable given current market conditions and sector outlooks? Can you outline the sources of the distribution coverage (i.e., how much is from underlying MLP distributions net of fund expenses and how much comes from options premiums)? JH: There were 12 distribution cuts during 2018 in the sector from restructurings and outright reductions. Most importantly, the merger of Energy Transfer with ETE was a big reduction in portfolio cash flow, as that was our largest holding at the time. In the long run, we will target a distribution that reflects the cash from our portfolio (about 11-12% with leverage) plus 4-6% targeted from covered call writing proceeds. SA: The strongest argument against investing in AMZA is that it has underperformed most, if not all (depending on the time horizons used), of its peers (both actively-managed leveraged funds and passive non-leveraged funds) since its inception. How do you explain the past underperformance and why should investors continue to allocate capital to your fund? In particular, why should investors favor leveraged, actively managed MLP funds right now over non-leveraged, passive funds? Should investors view AMZA as primarily an income vehicle or should younger, total-return focused investors also own it? If so, why? JH: We launched AMZA in 2014 just prior to the crash of oil from over $100 to well below $30. This was a terrible operating environment for MLPs as production volumes dropped dramatically and even the largest most diversified companies were forced to cut distributions and restructure. We have adapted to the potential for high volatility stock market environments by shortening the duration of our option writing and focusing on the most liquid names in our portfolio. In addition, as discussed above, we hope to proactively reduce leverage during unattractive or risky market environments. Industry fundamentals are now extremely strong as the operating environment for MLPs is very attractive and all corporate restructurings have been completed. Even at current levels of oil prices in the $40-50 range, US production is likely to steadily rise over the next 5 years, which will be a very attractive operating environment for MLPs. We also expect more acquisitions of MLPs as they are trading well below their private market value.Consequently, it is likely that the sector will resume its steady 5-7% distribution growth and deliver attractive total returns which will favor our strategy of normally running leverage. SA: Investors like management with skin in the game. How much of your own net worth do you and Mr. Ryan have invested in AMZA? Do you consistently invest in new shares? JH: We are the second largest shareholder in AMZA and it is a very substantial portion of our net worth. We recently have been adding to our positions. SA: Finally, what are some lessons you and your team have learned over the course of managing AMZA and what has changed in your strategy as a result? JH: The two biggest learnings were adaptations to 2018's extreme market volatility. Specifically, simplifying and shortening the duration of the covered call option strategy to focus on the most liquid companies with weekly options outstanding, and to be more active in terms of reducing leverage during periods that are normally more volatile and when the macro or market environment is unattractive. Take advantage of another dislocation and 25-30% upside in 2019 while getting paid every month! For our $10K a Month Club members (like me) I advise reinvesting the dividends like in ALL our 15%+ yielders--right now with our 2X over-weight in our Ultra Income plays (MORL MRRL NRZ MI BDCL) and the yields on NEWT and AMZA, we are about at $10,000 a month in income for $500k of origital capital--that is the beauty of re-investing the dividends! !